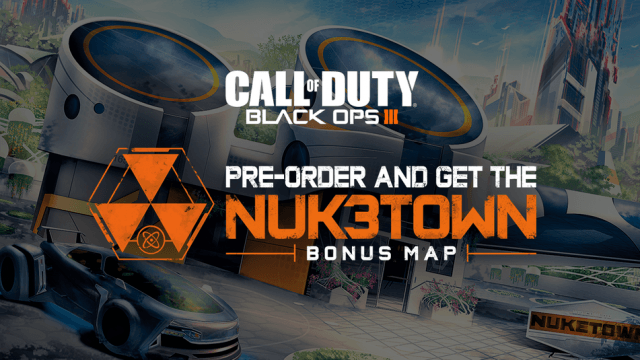 Call of Duty: Black Ops 3 will see the return of the Nuketown map. 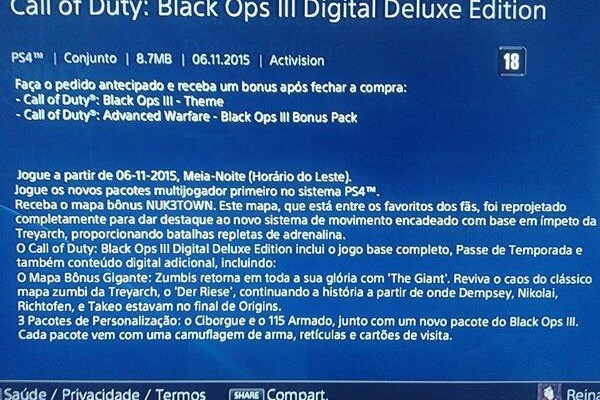 Black Ops 3 will include a map called NUK3TOWN, according to an image of a now-deleted Brazilian PSN information page. The image was posted on MP1st, but the site doesn’t mention whether staff captured it or whether it was passed along, so with all the goodwill in the world we have to account for the possibility that it may be a clever fake. On the other hand, why wouldn’t Treyrach bring back Nuketown? It’s not like the Call of Duty franchises hasn’t resurrected maps in the past; even Nuketown itself has had two incarnations in the Black Ops series so far. So, with a bit of salt, the page’s text says the third Nuketown map has been “completely redesigned to highlight the new chained motion system based on momentum of Treyarch, providing battles full of adrenaline”. The map is listed as a bonus with the digital deluxe edition, so if this is legit we can expect Activision to let us know a little closer to Call of Duty: Black Ops 3’s November 6 launch. It’s coming to PC, PlayStation 3, PS4, Xbox 360 and Xbox One.